Interest rate uncertainty is at peak levels. 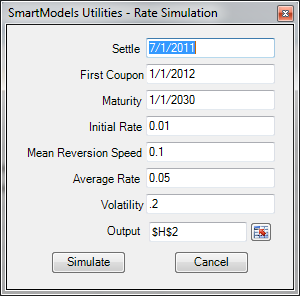 SmartModels Utilities give you a fast, powerful way to analyze interest rate variability with the Simulate Rates function. Using our industry standard, mean-reverting interest rate model, SmartModels Utilities allow you to quickly get entire distributions of interest rates with just a few quick inputs.